As the New Year has started expect to encounter frigid temperatures and a lot of ice and snow. With these conditions come various potential hazards that could result in either you or someone you know being seriously injured. While everyone needs to take extra precautions themselves in navigating these potential hazards, what are the obligations of commercial property owners to prevent potential accidents? “Premises” is defined very broadly and includes places such as concert venues, shopping malls, diners, restaurants, and various shops, stores, and even their parking lots. 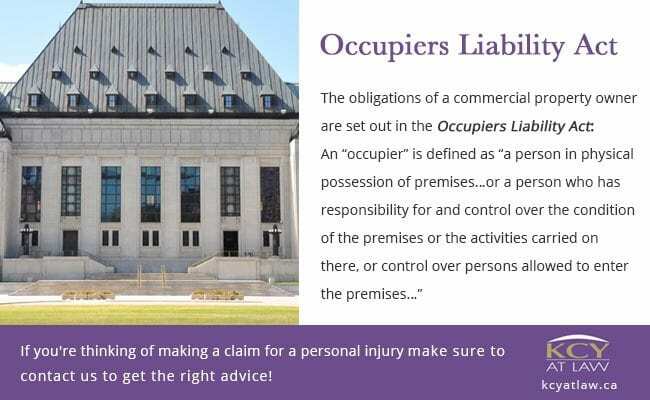 Section 3(1) of the Occupiers’ Liability Act states that an occupier has a duty to take reasonable steps to ensure their property is reasonably safe for visitors and patrons. 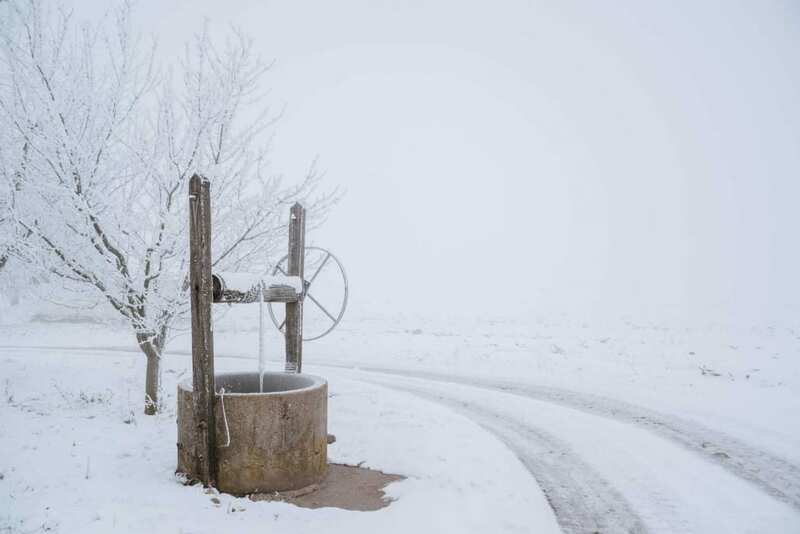 While there is no standard of perfection expected of occupiers, there is a positive obligation to take “reasonable” action to prevent hazardous situations from arising. Each case is judged separately as to what constitutes “reasonable” action in the particular circumstance. 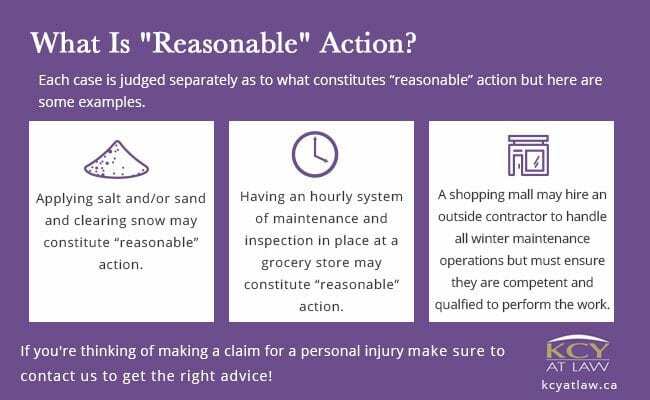 For example, applying salt and/or sand and clearing snow may constitute “reasonable” action. Having an hourly system of maintenance and inspection in place at a grocery store may constitute “reasonable” action. As a further example, a shopping mall may hire an outside contractor to handle all winter maintenance operations. Simply by virtue of hiring a contractor in this capacity, however, will not alone discharge an occupier from their obligations under the Occupiers Liability Act. They must ensure that the contractor is competent and qualified to perform the work. Even if an injury occurs as a result of a slip or trip and fall, if an occupier can prove that they took every “reasonable” precaution in preventing potential hazards, the injured person may not be entitled to recovering compensation for their pain and suffering. If you have suffered injuries as a result of a slip or trip and fall contact KCY at LAW right away so that you receive the proper advice and we can help get you the compensation you deserve. Call KCY at LAW today at 905-639-0999 or contact us online to book a FREE consultation!